With all of those websites getting popular these days with their top 10 click thru lists to drive traffic and viewership, I figured it was time to jump on board since everyone (myself included) loves lists. What better way to do so than a top 13 list (for a nice round number) of the most beautiful things and places I have ever laid eyes on? (This of course excludes obvious things such as my wife and a perfectly cooked bone-in rib-eye.) As is the case with any Kodak…. err…. Fuji Film… moment in one’s memory, I cannot separate these from the personal experience I have had with the vision: laughs, stomach grumblings, exhaustion and the like. Enjoying a baguette atop the Eiffel Tower at sunrise with my middle school ex-girlfriend and a bad case of the runs, albeit a beautiful setting perhaps, would not likely make the cut. These are in no particular order, as I think it may be bad practice to force rank things of this nature which are near the top of God and/or humankind’s most amazing creations. Best part about this list is, because I am not tech savvy, there will be no clicking through multiple screens as is traditional with articles like these. It’s all right below you! Yay! Yvon Chouinard picked this very group of mountains to be the logo of his small alpine climbing company “Patagonia” in 1973. The man was obsessed with these mountains…. and rightly so. These peaks of solid granite jut up from the earth in a way that instills a fear of God in you. They are almost other-worldly in the way that they completely break out of the Patagonian plains to the east and seem to protrude straight up at 90 degrees from the earth for miles. Drinking the melted glacier water from the lake at its base was a memory I will not soon forget. 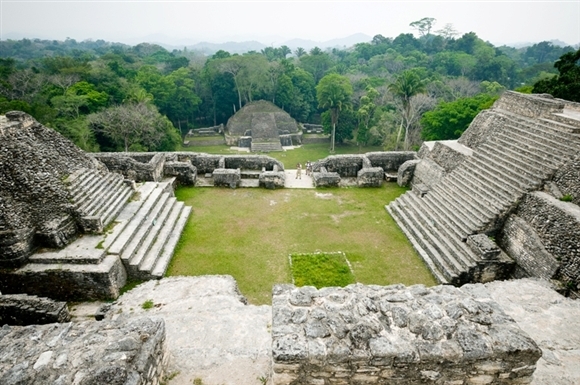 Caracol is overshadowed by its better excavated and frequented cousins Tikkal and Chichen Itza in nearby Guatemala and Mexico. 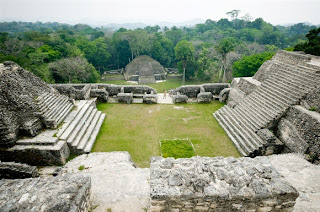 The Belizean jungle has swallowed most of this ancient Mayan city of over 100,000 people for most of the last several hundred years, and archeologists have only begun to bring some of its beauty to light. Atop a massive pyramid rising from the jungle you can see for miles over a land which is still completely untouched by humans. Our guide pointed out several huge tree covered hills in the jungle around the area, indicating that they were themselves temples which have yet to be uncovered. What has managed to escape the choking vines of the jungle truly shows that this is nothing less than wonder of the New World. 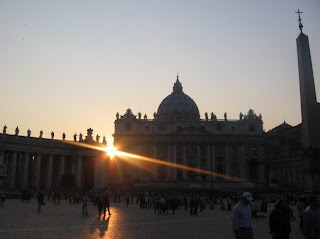 On my first and only trip to Rome a group of friends and I were acclimated by participating in an all-day scavenger hunt around the city. The Coliseum, Roman Forum, Pantheon, Trevi Fountain: this city does not lack sites which reek of postcard worthy-ness. But by some strike of fortune, our last stop was this one, and we arrived at sunset. We crossed the Tiber River and began down the Villa della Concilatzione into the colonnade designed by Bernini to give the impression of walking into the outstretched arms of God… the view before us: St Peter’s Cathedral. The stones of plaza shone of pink and red with the reflection of the sunset and the usual daytime crowd had for the most part dispersed for the evening. I am not sure if it was God’s arms that were around us that night, but we were certainly in the presence of something amazing. 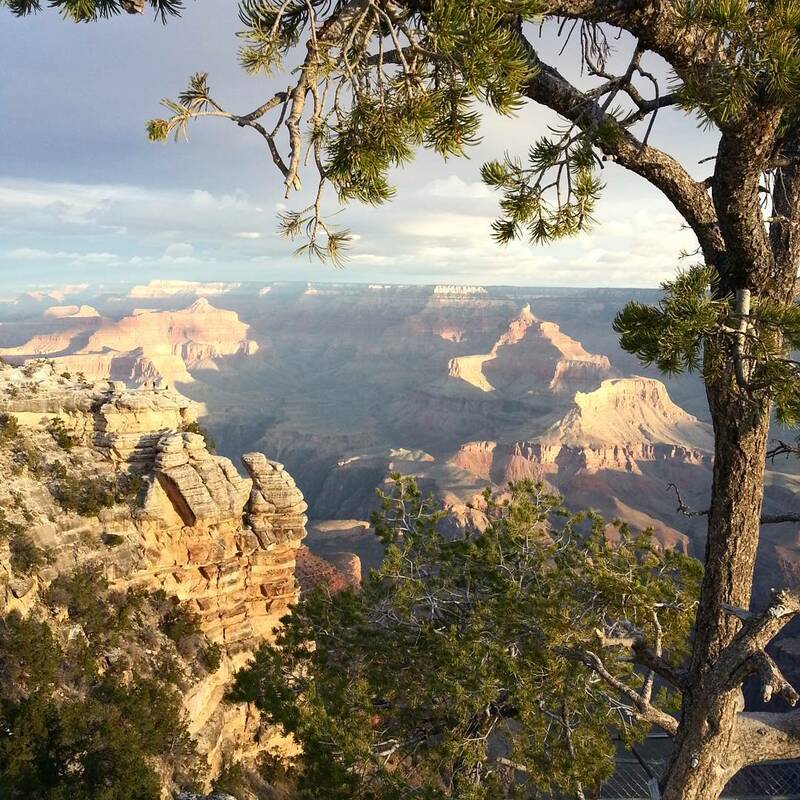 I last saw the Grand Canyon in the summer of 2001, but I doubt it has changed much since then. I will leave in that caveat in case they have got a new chef or the offerings are different. This is one of those places shrouded in myth and almost fairy tale status since my childhood: my mom always spoke of it as a place that she and my father had one of their grandest adventures: a trek to the bottom and back. It was, more than any other place, the ultimate “bucket list” sight to see in my life – and I was lucky enough to see it at the grand old age of 14. 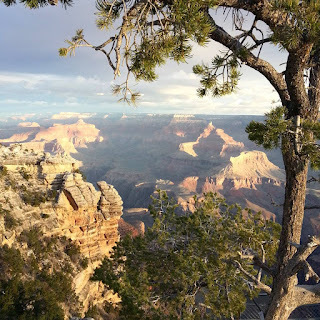 Standing at the edge of Grand Canyon is like being born - as if all your underdeveloped fetus eyes had seen before this was a muck of amniotic fluid and the inside of a placenta, and now you finally can see what the world is like in all of its glory…. Okay, maybe I took that too far, but I am not sure that the beauty of this place is matched anywhere else on Earth. Maybe that makes this my number one… but I’m not numbering, remember? be… and if I ever could afford a place such as this I would hope I would spend it on eradicating cancer or world hunger or something like that instead. But the view. Oh my goodness the view. I love mother nature… from the mountains to the valleys and all… but damn can humans create some magnificent things. 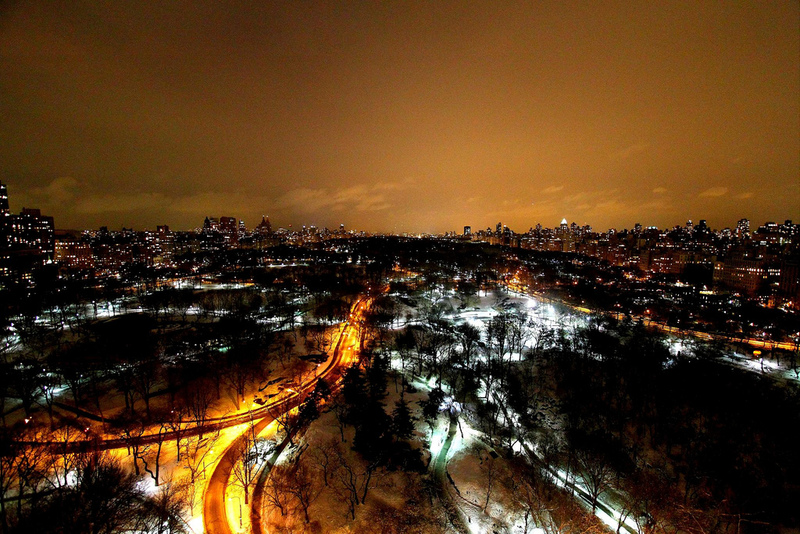 Looking at New York City from a rooftop near Central Park is nothing short of spectacular. It is oddly serene being dozens of stories above the always busy New York streets, but watching it all go by as a spectator and just taking it all in. My allure with San Sebastian is at least partly due to it being very much of a “stumbled upon” find which turned out incredible. I circled a few places on a Spain map not knowing anything about any of them and had my step-brother pick which one to visit. 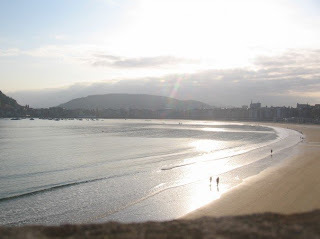 One trans-Atlantic flight and Eurail night-train pass later and we woke up in San Sebastian. This old Spanish fishing town lies on a small inlet where the Pyrenees meet the Bay of Biscay and seems to be in a world all on its own. Picture the most popular and beautiful beach you know, but only you and a few friends are there and it has not been touched by commercialism or the outside world since 1850… ok, minus a McDonald’s, but what would any city be without just one McDonald's? Yes, San Sebastian is quite popular among Spaniards, but it’s far enough from an airport that most western travelers find it too difficult to make the trip. The result: brush up on your Spanish, or spend a few days in confused bliss away from your traditional European tourist crowd. Oh, there was also an international beach volleyball tournament going on during our stay… that didn’t hurt either. Go Canada! (America wasn’t playing). The extent of my astronomy knowledge is being able to pick out the Big Dipper on a clear night. Other than that, I am pretty much lost without my star app. Even so, knowing that the sky in the southern hemisphere is completely different than what I have seen for my whole life is mysterious and fascinating. 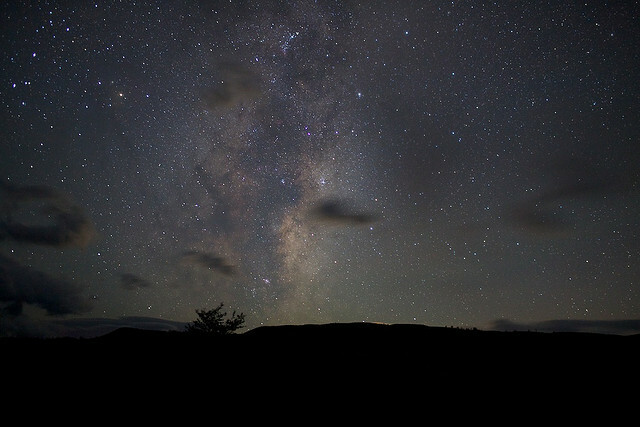 Luckily a friend on this trip was an astronomy nut, and was able to guide my eyes to some of the wonders the Patagonian sky has to offer. When this far away from civilization, you can see entire GALAXIES with your naked eye. I am not kidding. The Magellanic Clouds. GTS. Notwithstanding the freezing Patagonian wind biting at my face, the closest experience I’ve ever had to the brilliance of this night sky was a planetarium, and something about being in a small dome surrounded by whiney kids doesn’t quite live up to this. OK, this one gets a few extra points because of my childhood being so wrapped up here. I think by the age 2 I had already been on these boardwalks a dozen times. There’s no brilliant natural phenomena going on or any modern made marvel to see… it is just a large swamp hidden behind the dunes of the South Jersey shore. The Boardwalks allow you to walk amongst all of the birds and creatures that call this place home, of which you are certain to see plenty while you’re here. 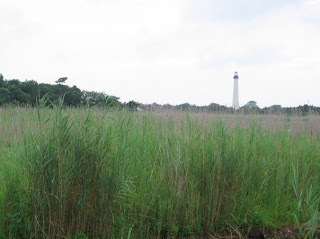 The salty air, abundance of life, and white-washed Cape May point lighthouse on the horizon make this place indescribably beautiful to me. Well, indescribable beyond what I just described. 9. Sunrise in Berchtesgaden, Germany. So, if you were the person in the world with the most absolute and unchecked power in your hands than perhaps any other man or woman in all of history, and you could at the drop of a hat pick anywhere to move into and build your dream house, you would think that would be a pretty awesome place, right? Unfortunately this person was Hitler, but man, did he know where to build a stinkin’ house. In Berchtesgaden, you find yourself at the eastern most extend of the Bavarian Alps, and in a town that is quaint, picturesque, and full of good sausage and beer. Yes, please. 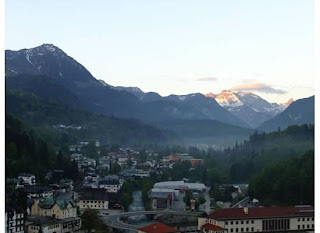 Maybe it was divine intervention that I woke up at 5:30 AM in spite of having a stein or two of strong German beer the previous night in time to watch the sun rise on the mountains of Berchtesgaden National Park from the balcony of our hotel room. It was as if God said, “Hey dude, wake up, I need to show you something cool” and then drug me out to the balcony and just completely showed off. (Keep in mind God is cool, so that’s why he talks like that). Then I went back to bed. This one falls in a category all of its own because is completely different than anything I’ve ever seen. In fact, GSDNP reminds me more of Africa than… Africa to me. 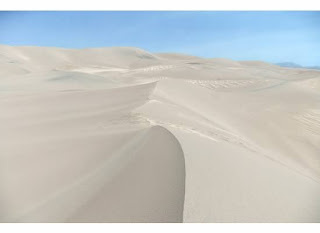 At the risk of sounding cliché, I can only imagine that the gigantic rolling dunes of the Sahara look something like this park in Southern Colorado. I’ve never been there, but perhaps one day Lord willing I will be able to test this theory. Arriving here at night, I was able to have one of the jaw dropping moments of getting out of my tent and having my first sight of the day being these incredible mountains of sand. The only thing more difficult than leaving this place was trying to climb them with 12 pounds of sand in my boots. Fair warning: I’m going sentimental on this one. My trip to Machu Picchu was just as much for me as it was for my dad, who passed away in 1993 and always wanted to make it here but never did. I’d like to think that the dirt from the Inca Trail that I brought back to his grave means that he in some small way accomplished this goal through me. Beyond the mushy gushy-ness of this story though, Machu Picchu and the Santa Teresa Valley are incredible in their own right. 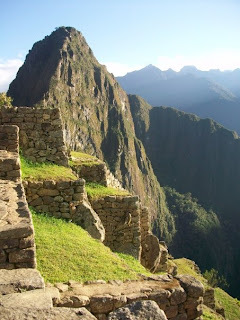 The hike in and remoteness of the area adds to the awe you experience when you arrive, and watching the sun rise at the Intiwatana or “hitching post of the sun” single-handedly makes the entire trip to Peru worth it. Apparently, archaeologists and historians cannot agree on why exactly Machu Picchu is here other than the big wigs of the Incan Empire made it their home…. I think the views speak for themselves... come on archaeologists. 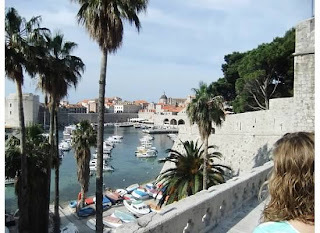 I look back on this place as if it were a dream – watching sailboats go by on the Adriatic sea with a glass of chardonnay in a café that clings to the wall of this old Medieval City (and to end this like a Jack Handey deep thought: “…and also, you’re drunk”). White buildings, red tile roofs, grumpy old fisherman; this is all I had ever hoped an old Mediterranean town would be. Subtract the daily dose of 2,000 cruise ship day-trippers, and I would even say it was serene. We were sure glad to have discovered this town which is known as “the Pearl of the Adriatic”… all’s I can say is, watch out Venice, there’s a new kid in town. A very old, curmudgeony, yet beautiful new kid. 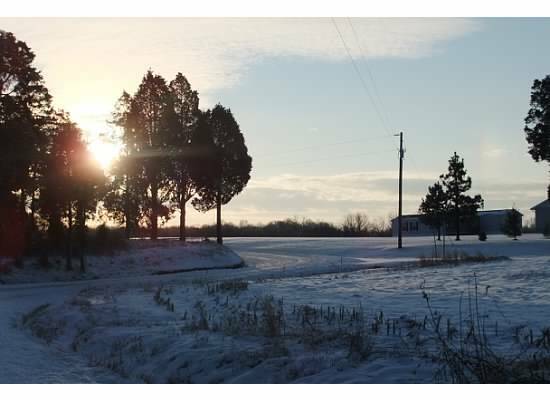 Despite every place I’ve been or seen around the world, to me the 40 acres of cornfield on the family farm in Bretzville, Indiana are more beautiful than the remaining 36,794,239,960 acres of solid ground on planet Earth (thanks Wikipedia). As I warned in the introduction of this post, my list is tied with experiences, memories, people and many other intangible things – and Bretzville more than any other place is where all of these intersect for me. Life always seems a little more simple here. Coffee, conversation, and a hike in the woods make for a vacation that is both cheap and better than any other I know. But it’s not just the memories - and this is something that maybe only a mid-westerner would understand or admit to – but there is beauty in a freshly plowed field, in an overgrown barn yard, and in an old farmhouse. ‘Merica! In the interest of maintaining complete journalistic integrity, the following are links to the photos above which are not mine. Thanks for these super photos, unknown photographers!